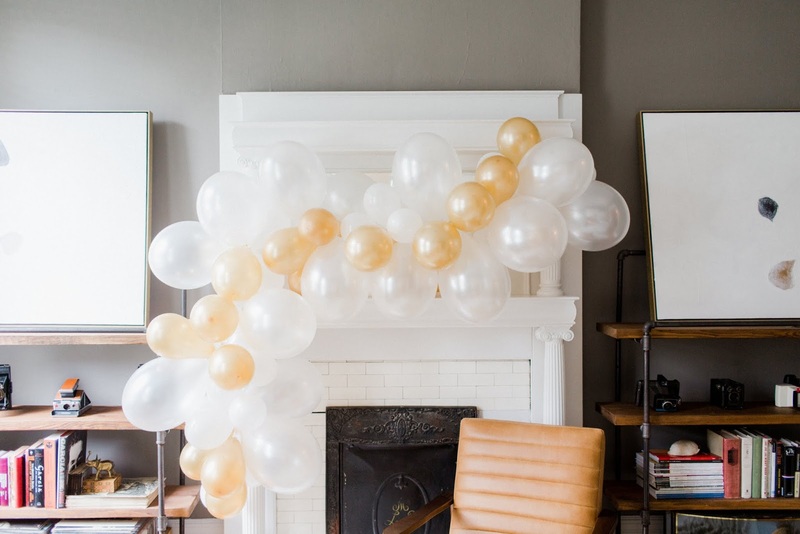 I've gotten so many questions about the balloon garland I made for Stephanie's bridal shower a few weekends back, so today I'm sharing all the details on how it came together. It was surprisingly simple and inexpensive to make, and ended up being such a fun backdrop for Stephanie to open presents in front of. 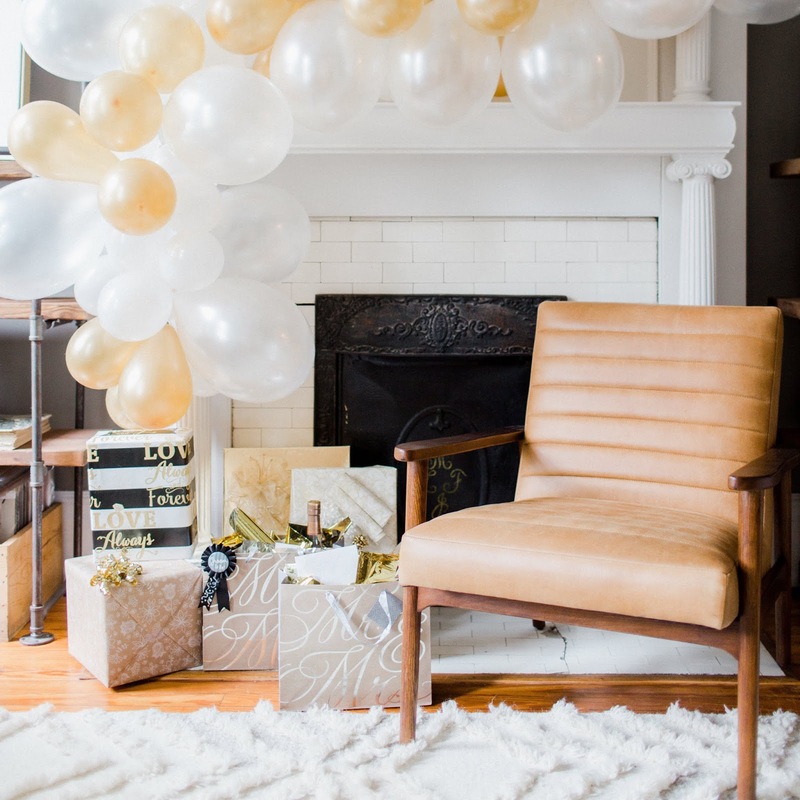 I just love how it completely transformed the look and feel of our front parlor into an instant celebration. 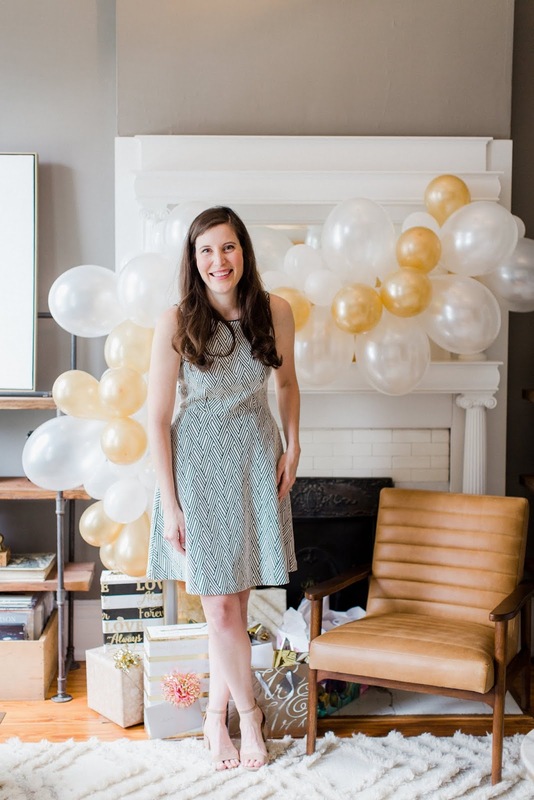 I'd come across the idea for the garland here when gathering inspiration for the bridal shower decorations and followed the 5 step tutorial that's virtually impossible to mess up. 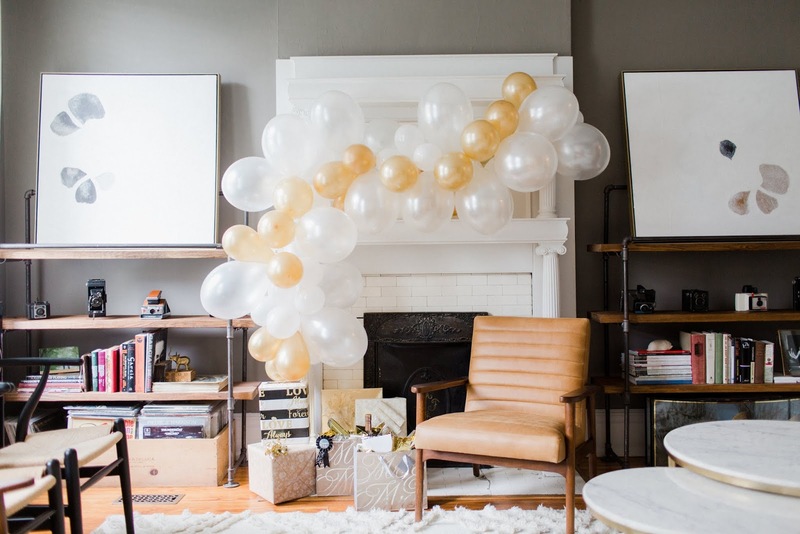 The basic concept is tying a small loop of twine around the base of each balloon and stringing them onto a single longer thread of twine that spans the ideal length you want the garland to be. 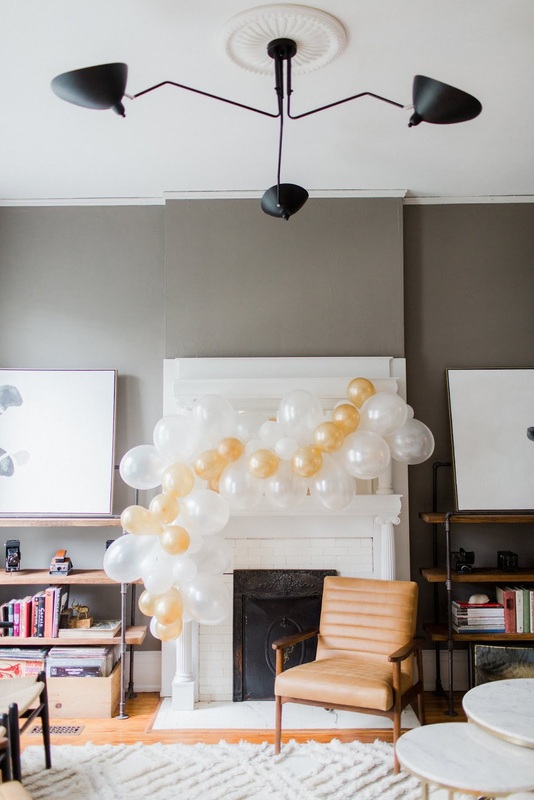 Once all the balloons are strung, you can frame out a backdrop and arrange the balloons to your liking (command hooks are great if you don't have a mantle to tie to). 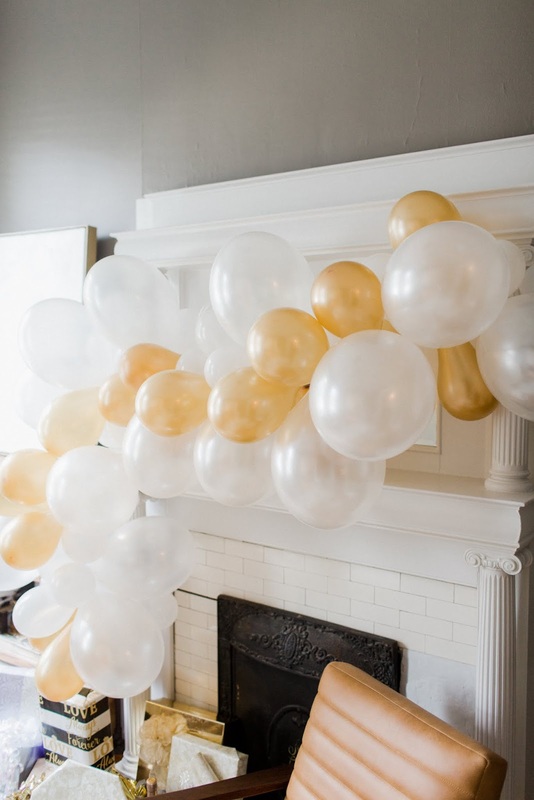 I spent $15 overall on balloons and white twine. 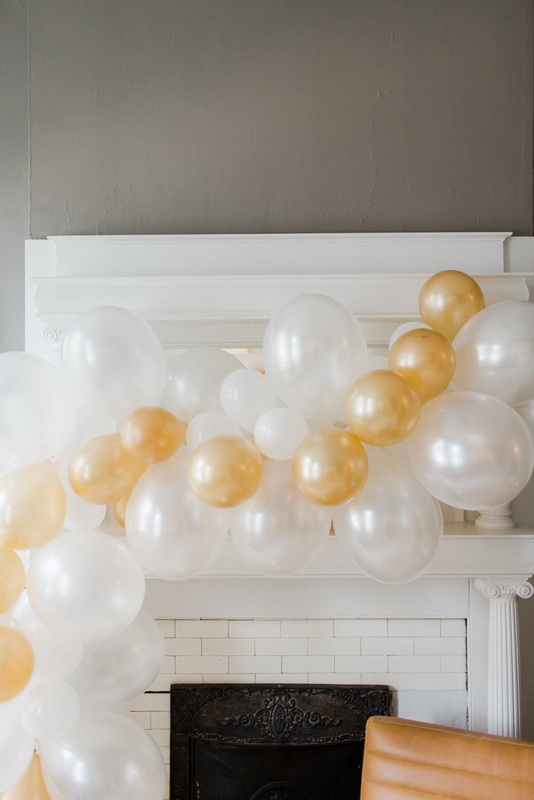 For this garland I bought a 15 count pack of 12 inch pearlescent balloons, 20 count pack of 9 inch gold balloons and a 50 count pack of mini 5 inch white balloons. I ended up using everything from both larger packs and just over half the mini balloons. One of my favorite parts about how it turned out is the organic look and feel. In order to break up the uniformity, I strung the varying sized balloons without too much rhyme or reason, just letting it flow. Now that I've made it once, I feel like I've got a secret weapon in my back pocket for an easy, big impact party decoration. My best tip if you decide to try one out is making it ahead of time. I was able to finish ours 2 days ahead of the shower so we could focus on other things, like cleaning and food closer in time. The balloons held up brilliantly and even lasted into the next week before beginning to lose their bounce. You might also enlist help on blowing up the balloons if you have eager and willing hands around. 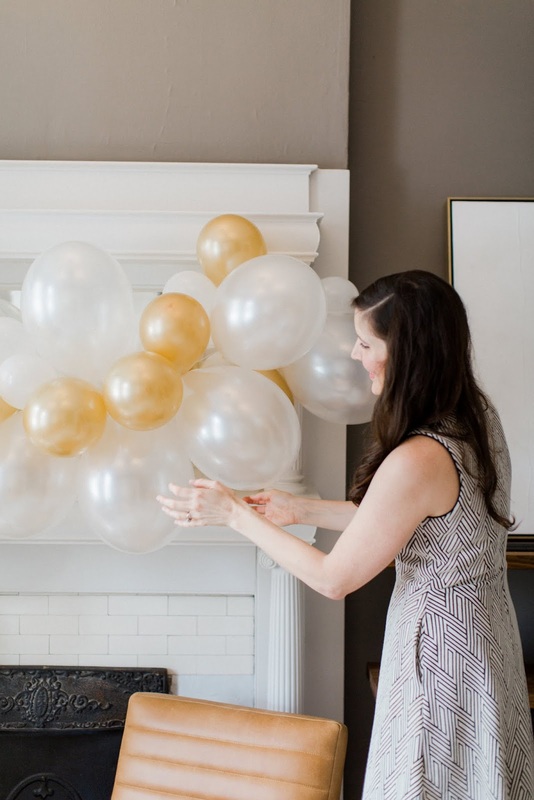 I hear a balloon pump can also help speed up the process, but if you're like me you could opt for just opening up a bottle of sauvignon blanc and getting the job done over the course of 3 episodes of your go-to realty TV. I'm telling you, it worked like a charm. Sources: Find all of our front parlor sources, from paint color to furniture, right here. 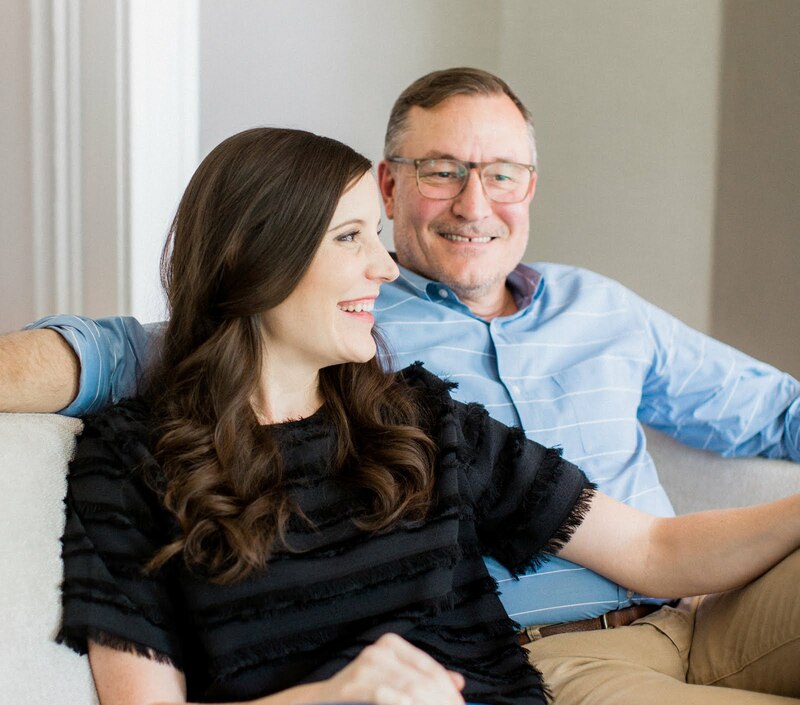 The photographs in today's post were captured by our talented friend and photographer, Ali Williamson of Alisandra Photography.